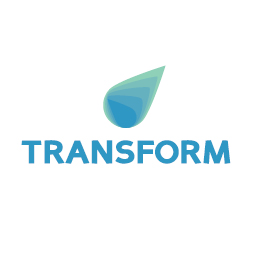 Thank you for coming along to the inaugural TRANSFORM conference and sharing your ideas and inspiration for the challenges and opportunities that lie ahead for our industry. What did you take away from the conference? Fill out our event survey and let us know what you loved and what we can improve on for next year. Group General Manager, Sustainability & Reputation. Session 1 - How can business respond to the Sustainable Development Goals at a corporate level? Session 8c - How do we create sustainable places and measure outcomes? Session 1 - Climate change and resilience – what needs to be done? Session 5b - What's new in design? Angie Abdilla is a palawa, trawlwoolway woman from the North of Tasmania who has been living and working in Sydney for over 15 years. Angie works across culture, research, strategy, and technology, using Indigenous cultural knowledges to inform service design, deep technology and placemaking for both the public and private sectors. Her published research on Indigenous Knowledge Systems, Robotics, and Artificial Intelligence was presented at the United Nations Permanent Forum on Indigenous Issues. Angie’s and Old Ways, New have also recently published the co-edited book Decolonising the Digital: Technology as Cultural Practice, and co-founded the pioneering international Indigenous Protocols and Artificial Intelligence symposium investigating how Indigenous governance and sustainability can safeguard emergent technologies. Angie publicly presents and lectures on Human/Technology inter-Relations and Futuring methodologies at the University of Technology Sydney. Angie is a Fellow of The Ethics Centre and holds a Bachelor of Arts in Communication from the University of Technology Sydney. Chamber of Commerce QLD (AMCHAM) and is the Inaugural President of the Queensland Futures Institute (QFI). Julieanne Alroe retired in June 2018 from Brisbane Airport Corporation (BAC) where she held the position of CEO and Managing Director since 1 July 2009. With more than 40 years’ in the aviation industry, she was one of only a handful of women in the world to run a privatised airport. Julieanne has a Bachelor of Economics from the University of Queensland and was granted the Doctor of the Griffith University (honoris causa) in December 2016. She also is a Graduate of the Australian Institute of Company Directors and a member of the Chief Executive Woman (CEW). Esther is the Chair of the Green Star materials and supply chain reference group. Passionate about the opportunities emerging from the circular economy, she has been working with the BBP to prove recovery models in existing buildings' refurbishment. Sarah Barker is a Special Counsel at MinterEllison and a director of one of Australia's largest superannuation funds, the Victorian state government's $26 billion Emergency Services & State Super. She has two decades' experience as a commercial lawyer, and is regarded as one of the world's foremost experts on climate change corporate governance and finance. Sarah's leadership in the field of climate change-related risk and liability is internationally recognised, and has been called upon by governments and institutions from the Bank of England to the OECD and United Nations PRI. In 2017, she was commissioned by the European Union as the legal risk partner in a global consortium advising on Financial System Risks Arising from the Energy Transition, which involved advising the European Commission on climate-related litigation risks exposures for both government and private-sector entities. In 2017, she was nominated as Australia's representative on the expert committee of the International Standards Organisation in the development of ISO 14097 Green Finance & Accounting. Sarah sits on the Technical Working Group of the London-based Climate Disclosure Standards Board, the teaches as part of the Cambridge University's Institute for Sustainability Leadership (convened by EY), and is an academic visitor at the Smith School of Enterprise and the Environment at Oxford University. In Australia, Sarah works extensively with the boards and senior executives of ASX50 companies (from the banking sector to insurance, resources and construction materials) on their governance and disclosure obligations in relation to climate-related financial risks, and as a trusted advisor to a number of Commonwealth and State government agencies. She was the instructing solicitor on a brief to Mr Noel Hutley SC that is widely cited as the authoritative statement on directors' duties with regard to climate change risk in Australia (including by regulators APRA and ASIC). Sarah brings an overtly practical, governance-focused perspective to her advice from her own experience as a director on the board of government- and private-sector boards. In addition to her role as a non-executive director of Emergency Services & State Super, she sits on the board of the Responsible Investment Association Australasia. She has been actively involved as an examiner, lecturer and course materials author for the Australian Institute of Company Directors for more than a decade, and regularly facilitates the Institute's public sector workshops. Sarah works extensively across the policy, investment, academic and scientific communities – including with CSIRO and the Bureau of Meteorology. She is known for her ability to communicate complex legal and economic concepts in a pragmatic way, to both lawyers and non-lawyers. Adam is Founding Executive Director of Smart Cities Council Australia New Zealand, an organisation dedicated to accelerating sustainability outcomes in cities and towns through the adoption of technology, data and intelligent design. Adam is also an Ambassador with Portland-based thinktank EcoDistricts, where he was previously Director of Innovation. Prior to this Adam was Executive Director at the Green Building Council of Australia, and lecturer and studio lead in social impact assessment and community engagement at the University of Queensland. Before entering the mission-driven sector, Adam spent 15 years with global consulting firms, including almost a decade at Arup. Jonas is a founding director of Edge Environment. He is a sustainability consultant, systems engineer and business leader with professional experience spanning Europe, USA, South America and Australasia. Alongside his role at Edge, Jonas is the President of the Australian LCA Society and a member of the Technical Advisory Groups for the Australasian EPD Programme and Green Star. His recent work includes delivering Australia’s first science based target (for Optus) and a number of ongoing carbon target projects for high-profile property clients, as well as technical oversight for whole building life cycle assessments for properties across Australia. Paolo is the General Manager, Sustainability and Real Utilities at Frasers Property Australia. Real Utilities is a recently established authorised energy retailer and utilities business wholly owned by Frasers Property. Prior to his role at Frasers Property, Paolo held a range of sustainability positions at Lendlease. Paolo is the Chair of the Living Future Institute of Australia, and a member of the Property Council National Sustainability Roundtable. Leanne has more than 25 years in the banking and finance sector, having held a variety of roles within debt capital markets, securitisation, infrastructure and real estate finance in both major domestic and boutique investment banks. Leanne’s current role is to build customer strength and resilience through insight into some of the big trends and issues on the horizon. A key focus is sustainability, a broad macro trend that impacts all industries. To say Richard is passionate about human rights is something of an understatement. Richard has spent most of his work life championing the causes of the vulnerable and under-represented in a way that few do, most aptly demonstrated in almost 15 years running his own human rights consultancy, Banarra. Today, as KPMG Partner for Human Rights & Social Impact Services, Richard draws on his cutting-edge social sustainability insights to help Boards and their chief executives navigate the inherent social risks associated with increasingly global and diverse operating contexts. His particular strengths are the social and governance dimensions of sustainability and leading large consultancy assignments in socially and politically complex environments. Richard understands the importance of teamwork. “When you’re looking to provide advice around difficult and grey areas such as social impact and human rights you have to take a team-based approach because the issues are just so complex. No single person has the solution. Emma Bombonato has an Environmental Science & Management background with over 18 years’ experience as a practitioner in Sustainability. Emma’s experience spans across education & training in sustainability, sustainable resource management, behaviour change, organisational engagement and Strategy development. Emma joined the Sydney Opera House in 2016 as the Manager, Environmental Sustainability after 10 years with Taronga Conservation Society Australia. Emma’s role is to strategically support the Sydney Opera House continue to take a leadership role in Sustainability. Emma is extremely passionate about leadership in sustainability, particularly the important role organisations and businesses play to influence and drive positive change at an individual, organisational and community level. Nicole Bradford is Portfolio Head, Responsible Investment at Cbus Super, the A$48B industry superannuation fund for the building and construction industry. In this role she is responsible for setting the strategic direction for integration of Environmental, Social and Governance issues in the investment process. She has over 20 years’ experience in the application of sustainability thinking across investments, within companies and government and has worked and lived in both Asia and Europe. Her previous role involved the development and integration of environmental and social policies for direct investments across a range of asset classes including debt, equity, renewable energy infrastructure and real estate across Asia Pacific. Nicole is on the Member Council for the Australian Council for Superannuation Investors (ACSI) and is actively involved in the Investor Group on Climate Change (IGCC) including Chair, Low Carbon Finance Working Group and a member of the ICGN Board Governance committee.She holds a BSc (REM), Master of Environmental Law, Graduate Certificate in Applied Finance and is near completion of a Graduate Diploma in Psychology. James is a practiced project, environmental and sustainability manager with experience across a range of industries including infrastructure, building and rail construction, conservation surveying and contaminated land, having worked for both leading contractors in Australia and consultants in the UK and Africa. Leading the Regional Environment and Sustainability Team for John Holland, James guides projects from tender phase through to commissioning with a high level of support associated with detailed development planning, approvals, environmental compliance and sustainability management in delivery. As Chairman of the Responsible Construction Leadership Group, James believes true sustainable outcomes require organisational shifts, born from an appreciation and understanding at the executive level, followed by management led implementation propagating company and project wide ownership of sustainable operation. James is focused on catalysing industry level collaboration and knowledge sharing between public and private clients, proponents and the supply chain to expedite the uptake of sustainable development. After completing his PhD in designing solar powered chemical reactors, Rowan was invited to join the Laing O’Rourke Engineering Excellence Group as a founding member. Designed as a specialist innovation team, the Engineering Excellence Group’s purpose is to drive fundamental and disruptive change in what has traditionally been considered a conservative industry. Through his tenure in the Engineering Excellence Group, Rowan has designed, developed and delivered award winning initiatives that have utilized technologies such as augmented reality, virtual reality and massive data analytics, and contributed towards other initiatives utilizing 3D printing, robotics and reality capture methods. While this has given Rowan both a broad and deep understanding of many emerging technologies, he passionately believes that the most impactful areas of innovation are those that impact the cultures we create, and how we perceive ourselves and our relationships to others and the wider world. Rowan regularly gives guest lectures on innovation and culture at local universities, and is a contributor to several educational outreach programs. John joined Lendlease as Managing Director, Urban Regeneration in July 2018 with over 30 years of industry experience in Australian and global real estate. In this role, he oversees Australia’s Urban Regeneration business. Renowned for its major mixed-used urbanisation projects, Lendlease has more than $13 billion worth of major urbanisation projects in four targeted gateway cities across Australia. Prior to joining Lendlease, John was Head of Development for Westfield in the UK and Europe. He has strong negotiation and delivery capability skills having managed primarily retail led mixed use regeneration of urban precincts in and adjacent to core areas of economic activity. This includes leading the development of Westfield Stratford City, the company’s largest single development as well as its first major development in continental Europe in Milan. During his 24 years at Westfield, John held various leadership roles overseas and in Australia. He was instrumental in acquiring new business opportunities and leading transactional negotiations. Prior to this, John held numerous roles in the private and public sector, including establishment of the Federal Airports Corporation with time as General Manager of Sydney International Airport and a variety of positions within the Departments of Defence, Aviation and Transport, principally in the areas of research, economic policy and investment planning. In 2013, John was awarded an Order of the British Empire (OBE) for his services to urban regeneration and the 2012 London Olympic and Paralympic Games. He was previously a director of the Australian/UK Chamber of Commerce in London. John holds a Bachelor of Arts (Accounting) from the University of Canberra and a Masters of Business in Finance from the University of Technology Sydney. Alice Cahill is an experienced sustainability practitioner with proven experience in designing and implementing strategic sustainability programs, generating mutual benefit for both the organisation and the community and environment. This is enhanced with a passion for motivating, connecting and empowering employees and other stakeholders, creating a culture where 'making a difference is what we do around here. She is currently managing four programs within the NSW Office of Environment & Heritage, delivering sustainable outcomes across business, government and council operations. James is an Associate at AGP, a newly founded company that invests in and develops sustainable infrastructure and real estate across four key pillars – communities, data, clean energy, and food. Prior to joining AGP, James worked as an ESD Engineer at Mirvac. During this time, he was responsible for the management of sustainability ratings and the solar PV solution at Mirvac’s South Eveleigh project, as well as running both internal and external sustainability education programs. James also worked with the Group Sustainability team on the development and delivery of the company’s sustainability strategy and represented Mirvac as a member of the Responsible Construction Leadership Group. Before Mirvac, James worked at KPMG as a Consultant in their Sustainability Services team on a range of assurance and advisory projects. His clients were primarily from the property, banking, mining and food and drink sectors. In 2018, James was elected the Future Green Leader of the Year by the GBCA. Dr Candido is a Senior Lecturer with the School of Architecture Design and Planning at the University of Sydney. She is an architect by training and she holds a PhD in Civil Engineering from the Federal University of Santa Catarina (Brazil) and in Environmental Science from Macquarie University (Australia). She leads the SHE (Sustainable and Healthy Environments) platform and co-leads the BOSSA (Building Occupants Survey System Australia) tool. Her research expertise and interest relate to Post-Occupancy Evaluation (POE), Indoor Environmental Quality (IEQ), workspace design and climate responsive design. Måns is Head of ESG (Environmental, Social and Governance) Research at Ausbil Investment Management Limited since September 2015. Prior to that, he was Senior ESG Research Analyst at AMP Capital for almost five years, following positions at Carnegie Investment Bank, Macquarie Bank and Accenture. With more than a decade of experience in the investment industry, including ten years in various responsible investment / ESG roles, Måns is well known for producing and presenting consistent, high-quality ESG research covering the Australian market and he has also published numerous, highly regarded insight papers on a wide range of ESG issues, including human rights and modern slavery. Måns is a member of the PRI Australia Network Advisory Committee and chairs a subcommittee of the Human Rights Working Group of RIAA (Responsible Investment Association Australasia). He holds an MBA International with Distinction from Griffith University and a Master of Financial Management from Gothenburg School of Business. Simon Carter is director of Morphosis, a corporate sustainability strategy practice working with property groups, fund managers, other corporations and governments in Australia and internationally. Spanning almost 20 years, Simon's career with sustainability previously included leading sustainable design as an architect and heading sustainability across Asia Pacific for a global property services group. In recent years, his attention has turned to the sustainability of digitalisation – which he finds both exciting and alarming. He authored Crossing the Threshold – a primer for sustainable digitalisation in real estate and cities, published by RICS. Rodrigo Castro is Senior LCA Expert at Bionova Ltd, where he works as a Business Developer, EPD verifier, and Building LCA expert for One Click LCA. Rodrigo is an architect who worked in the field of sustainable construction and completed a PhD in Life Cycle Assessment at the University of Florida. He is a community coordinator for the Circular Economy Club and has authored dozens of scientific articles and conference presentations on Life Cycle Assessment, Life Cycle Costing and BIM/BEM integration for sustainable building practices. He also continues to drive the evolution of our Green Star tool and draws upon a wealth of industry experience, an architecture degree from the University of Monterrey in Mexico and a Masters in Design Science from the University of Sydney. Sarah leads the Mirvac sustainability and reputation strategies, with a focus on purpose, trust, and business being a force for good. She has deep public affairs and sustainability experience across multiple sectors, industries, and jurisdictions. Sarah is also a Board Member of Sustainability Victoria and has postgraduate qualifications in both business ethics and communications. Anne Clisby is a Senior Associate at Denton Corker Marshall with over 20 years’ experience in leading design firms throughout Australia and internationally in Helsinki, where she studied at the UNESCO Aspro School for Art and Design and the Helsinki University of Technology. Anne is a Green Star accredited professional and a key member of the Denton Corker Marshall Sustainability Team, a group which provides support to project teams throughout the design and construction process. The Sustainability Team, under Anne’s leadership, has contributed to several award-winning projects including, Manchester Civil Justice Centre, winner of 28 industry awards including Britain’s high-profile RIBA English Partnerships Sustainability Award. Most recently, Anne was involved in the One Melbourne Quarter project, a commercial and mixed-use office development. One Melbourne Quarter includes a publicly accessible, elevated Sky Park which sits 10 metres above and projects 1.5 metres into Collins Street, creating a 90-metre green frontage in the heart of the Melbourne CBD. Anne has lectured at several universities and sits on various advisory boards including the Victorian Liveability Think Tank, a group from the Victorian design and built environment sector selected to promote services and expertise in liveable and sustainable design. Gareth has been working in the Australian paint industry for nearly 30 years. From product development, testing and manufacture to architectural specification and business development. More specifically, he has been involved in environmental architectural finishing solutions since the early 2000's and in his current role as National Specialty Product Manager, he manage a range of innovative ecological range of finishing systems for Nutech Paint Australia and New Zealand. He re-established Infrastructure Australia as an independent statutory body and worked closely with all States and Territories, as well as the Commonwealth, to develop a consensus list of priorities. He was the champion for the establishment of the inquiry to inform the development of a National Freight and Supply Chain Strategy which is currently being developed by the Department of Infrastructure, Regional Development and Cities. Tom is responsible for the development of an insurance industry response to climate change on behalf of the Insurance Council of Australia. Tom is establishing partnerships with government, the banking sector and academia to deliver a program of actions to catalyse the transformation to low carbon and resilient economies. Tom’s career in environment sustainability and action on climate change includes establishing the world’s first training and certification for climate change as chair of the Environment Institute’s Climate Change Special Interest Section, and many projects with governments and industry as co-founder of Edge Environment. Tom also continues to build resilient houses and is tackling climate change in his vineyards on the South Coast. Anna has worked in building physics and sustainability consulting for 10 years. She has worked on a number of high profile projects internationally across a number of climate zones including the UK, the Middle East, the Americas and Australia. Her particular passions are helping create spaces which occupants can engage and interact with, that stimulate a feeling of community and encourage occupant health and wellbeing. Through her work as a building physicist she focused on occupant internal and external comfort (daylight, glare, wind, thermal and indoor air quality) using complex analytics such as computational fluid dynamics and dynamic thermal modelling to assess passive design methods. Since moving to Australia 5 years ago her focus has shifted towards sustainable, holistic design and most recently a passionate interest in the circular economy and how we can better design to minimize waste thanks to working on Arup’s new office a 6 star Green Star Interiors design project and the refurbishment of 388 George Street. Ian has 20 years’ experience as a Charted Environmental Professional and is a Technical Director in GHDs Property and Buildings Team. Prior to joining GHD he was team leader for the Building Applied Research Team at AECOM Sydney. He has been involved in the design and delivery of a number of major building and precincts working with both private and public sector sides of the development industry. He is involved with the CRC for Low carbon living and last year undertook research for the GBCA in to the cost and benefits associated with proposed GBCA Carbon Road Map. Hazel Easthope is an Associate Professor at the City Futures Research Centre at the University of New South Wales. She holds a prestigious UNSW Scientia Research Fellowship and is the UNSW Australian Housing and Urban Research Institute (AHURI) Centre Director. Hazel has qualifications in sociology and human geography and researches in the areas of urban studies and housing. For the past ten years, her research has focused on urban consolidation and the development, management, governance and planning implications of apartment buildings and estates and the lived experiences of their residents. Her interests in this area span property title and ownership structures, estate governance and management, urban renewal and housing redevelopment, resident participation, building retrofits and upgrades, and resident relationships. She is a leading researcher in this field, and is regularly consulted by industry, government and peak body organisations in Australia and internationally. Rod Fehring is Chief Executive Officer of Frasers Property Australia. He is also Chair of the Green Building Council of Australia. Rod has over 30 years’ experience in the property industry around Australia including terms as CEO of Lend Lease Primelife Ltd and CEO of Delfin Lend Lease. Rod also served 8 years as Chair of the Australian Housing & Urban Research Institute Ltd.
Steve Ford is the Head of Sustainability and Energy at The GPT Group. He has worked for over a decade in driving improved environmental and social sustainability outcomes in the property industry. His current focuses are delivering the GPT zero emissions plan and embedding high integrity waste and resource management practices and reporting. A physicist himself, prior to joining the property industry, Steve worked with scientists, engineers and educators at the Australia Museum and the University of New South Wales on programs to disseminate their research to a broad range of audiences. He has carried his passion for a sustainable future throughout his career. Michael Gabadou is Managing Director for Interface Australia & New Zealand. Michael joined Interface in 2008, attracted by the company’s market leading brand, its declared purpose and sustainability commitment. Originally from France, Michael moved to Australia in the late 1980s. He has extensive experience in executive roles in manufacturing businesses across Asia Pacific and global businesses. Michael is excited to lead the Australia-New Zealand Interface business, a company that is not only the leader in its industry and financially very successful, but also sees its role as leading the industry on the environmental and social sustainability path. A leader of innovative technology led change in commercial real estate, taking the world’s largest real estate business, CBRE, through client centric digital transformation. Combining the value of traditional property services with emerging technology such as Robotic Process Automation (RPA), Artificial Intelligence/Machine Learning, Smart building Technology, Digital Twins, Virtual and Augmented Reality and Digital User Experience. Working side by side with industry leaders and visionary start-ups across Asia Pacific to deliver tangible world leading client outcomes. Through direct consultation with our valued clients across Asia Pacific David relentlessly develops client led products and services that deliver truly valuable outcomes such as operational excellence, cost savings, digital revenue and differentiating competitive advantage. Josh’s unique value in advocacy is his ability to bring people together on a journey of change, rather than alienating them through agitation. Josh is previously the Chair of the NSW Young Farmers and led the NSW Young Farmers’ Council in moving one of the first international agricultural climate change motions at the NSW Farmers Annual Conference in 2015. The motion gained the attraction of Al Gore, who asked Josh to be a part of his Climate Reality Project. Josh’s Climate Reality Project video, entitled ‘Australia’s Young Green Farmers’, was viewed in over 75 countries and by over 100 million people. In recognition of his work, Josh was named in Pro Bono Australia’s Impact 25 as one of the top 25 most influential people in Australia, recognised as one of Australia’s prominent social entrepreneurs in the food and climate change space and was part of the Foundation of Young Australian’s Young Social Pioneer Program. Through his work, Josh is emerging as a new voice for the future of Australia. He is creating change by breaking the stereotypes that currently exist and using Indigenous storylines, song lines and a strength-based narrative to bring people to new understandings of the value of the environment and agriculture, and therefore create meaningful change. With degrees in environmental engineering and geology, Cyril Giraud started his career in the construction materials industry in France prior to moving to Western Australia and then New South Wales. In the last 15 years, he has been responsible for securing regulatory approvals for quarries and concrete plants, as well as embedding environmental practices in operational sites. He is now responsible for Planning & Environmental management for Holcim's 250 sites across Australia. More recently, Cyril has been leading the implementation of Holcim's Sustainable Development 2030 Plan. As part of this endeavour, Cyril is currently part of the team that is developing Environmental Product Declarations for Holcim Concrete, a first for the concrete industry in Australia. In his role as CEO of the Smart Energy Council he has grown the profile and influence of the organisation. John has a passion for the solar, storage and the smart energy industry. He is regularly called upon, by the media, to provide relevant and independent comment in these areas. Lucinda is an urban designer, social entrepreneur and co-founder of Neighbourlytics, a social analytics platform for neighbourhoods, pioneering the use of social data in cities. Named as one of Melbourne’s Top 100 most influential people [The Age], Lucinda is redefining how we measure city performance with data-driven metrics to understand the social life of places. With over a decade of experience in urban innovation, Lucinda was previously co-founder and CEO of leading placemaking consultancy CoDesign Studio where she spearheaded The Neighbourhood Project, Australia’s largest community-led placemaking program. Her portfolio career includes positions with UN-Habitat, advising the Victorian Planning Minister for Fishermans Bend (Australia’s largest urban renewal precinct) and being appointed an Adjunct Senior Fellow at the University of Melbourne. Lucinda was recently awarded a Westpac Social Change Fellowship and Myer Innovation Fellowship to establish a data-driven social impact measurement tool for cities. Dominique has degrees in science, engineering and architecture. Her most successful publication is the ESD Design Guide for Australian Government Buildings, which is in its third edition. She has recently published the award-winning book Designing for Hope: Pathways to Regenerative sustainability and Enabling Eco-Cities: Defining, Planning, and Creating a Thriving Future. She won the 2015 Deni Greene Bob Brown award for a professional who has shown outstanding courage in their work for sustainability, and 6 other national and university awards for research and teaching. Dominique is a passionate about both social and ecological sustainability. Her key research questions are: ‘why, when we have been ‘doing’ sustainability for so long, are we having an ever-increasing impact?’ People create such beauty with music, food, art, buildings and community why is it so difficult to be a thriving part of the earth’s systems? and How can the built environment be part of this thriving? As such she has looked at biomimicry, biophilia, regenerative design, permaculture and development and positive development. Narelle grew up in country NSW, where her family ran a dairy farm and a pub and her mum worked nightshift as a maternity sister. She was the first in her family to go to university and has been an enthusiastic learner in the world of ideas ever since.During more than 20 years as a business journalist and editor she has worked for Australia’s leading media groups including the ABC, Fairfax Media and SBS TV and has interviewed everyone from Prime Ministers to the heads of the Reserve Bank and Treasury and global business leaders. She is a highly regarded facilitator and keynote speaker, Narelle has had a long commitment to sustainable business leadership models and gender equality. She is Editor in Chief of the award winning Company Director magazine, published by the Australian Institute of Company Directors and is a non executive director at The Ethics Centre and the Documentary Australia Foundation. Among previous roles, she was Editor of the Australian Financial Review’s BOSS Magazine and founding co-chair of the Financial Review’s Women of Influence Awards and director of the women's global entrepreneurship accelerator SBE Australia. In 2015 she co-authored the agenda-setting book New Women New Men New Economy (Federation Press) which shows how inclusive cultures drive innovation and sustainable growth. It was reprinted in 2016. Narelle studied journalism at Canberra University, has a Masters in Management (Financial Management) from MGSM. She was on the steering committee that brought the Global Summit of Women to Sydney in 2018 and a member of the International Women’s Forum. Megan is a senior executive with over 20 years’ experience in consulting, government, energy and water utilities leading business strategy, growth and transformation. Prior to joining ERM Power, Megan was Director-General for the Queensland Department of Tourism, Major Events, Small Business and the Commonwealth Games. She has previously held senior executive positions in strategy and finance with Energex, United Energy and PricewaterhouseCoopers and non-executive director roles on the boards of GOLDOC (the 2018 Commonwealth Games Organising Committee), Tourism and Events Queensland, Unity Water and Urbis. As the CEO of CitySmart, Brisbane’s sustainability agency, Megan built the start-up business and lead it for six years. Megan is a member of Chief Executive Women and a former Telstra Queensland Business Woman of the Year and named as an AFR 100 Women of Influence. As ERM’s Executive General Manager, Energy Solutions, Megan is responsible for the leading the company’s Energy Solutions business, incorporating digital solutions and the change management journey for a growing team to make energy management simpler and smarter for customers. Sam Hurley is the Policy Director in CPD’s Sustainable Economy Program. He leads CPD’s work on the implications of climate change for company directors, regulators and investors. He has also CPD research on tax reform, sustainable agriculture and public sector capability. Prior to CPD, Sam worked for six years as an economist and policy analyst at the Commonwealth Treasury, with shorter stints at the Department of Foreign Affairs and Trade and the Australian National University’s Crawford School of Public Policy. His work in Canberra focused on understanding economic trends and conditions in major economies like the United States and China, and the impacts of macroeconomic policy settings on Australia’s economy. Sam holds degrees in commerce and law and completed a Masters of International Affairs at the Australian National University. As the founder and CEO of the Electric Vehicle Council, Behyad leads the development of Australia''s electric vehicle sector through public policy development, investment guidance, research and analysis. As a respected expert and commentator in the future of mobility, Behyad supports investment and decision making in the shared and electric mobility. His views inform policy formulation by governments across Australia and is a recognised “source of truth” by decision makers in the corporate and government sector. Behyad has previously worked in the clean energy sector and as an adviser to federal government Ministers. His knowledge of the mobility landscape in Australia, the region and international markets is sought after to inform investment and policy decision making around the globe. Nina’s career maps a journey from Landscape Architecture, a segue into sustainability in land development and then commercial real estate, to launching Australia’s first certified property kanga green bonds. As General Manager of Corporate Sustainability at Investa Property Group, Nina is responsible for the strategic direction of the Net Zero target for Investa, encompassing people, environment and responsible investment objectives. Nina is currently facilitating Investa’s comprehensive response to the TCFD recommendations and is a member of the UN Environmental Programme Finance Initiative Real Estate Working Group on the TCFD. Nina holds a Bachelor’s Degree in landscape architecture, and a Masters in Environmental Management at the UNSW. Daniela joined HESTA in 2016 and plays a key role in the development and implementation of HESTA’s Responsible Investment strategy. Her areas of focus are integrating ESG (environment, social and governance) risks and opportunities across different asset classes, leading HESTA’s gender diversity engagement and advising on the incorporation of the Sustainable Development Goals (SDGs) within investment and stewardship activities of the fund. Daniela’s past ESG experience includes Chicago-based Wespath Investment Management and London-based Legal and General. She has also worked as a consultant and analyst in the energy and cleantech investment industry. Originally from Ecuador, she spent two years working in social development projects within the not-for-profit sector in Latin America. Daniela holds an MSc. from the London School of Economics in Environment and Development and aB.A. degree in Journalism from Universidad San Francisco de Quito. Greg Johnson is Stockland’s National Sustainability Manager, providing support to the Commercial Property business.With 38 years of experience in the property industry in building services, asset management and sustainability, Greg has been responsible for the development and implementation of sustainability policy and strategy over the last 16 years, and at Stockland since 2007. In addition, Greg has oversight of Community Development, focusing on the areas of health and wellbeing, education and community connection to develop partnerships and programs aimed at strengthening community resilience. Greg is an Accredited NABERS Assessor and Green Star Accredited Professional and has been integral member of project teams that have delivered successful Green Star projects across a range of building typologies including Office, Retail, Interiors and Performance. Rob has held a variety of senior Sales & Marketing roles at Liberty since joining the business in 2006, currently as Customer & Market Relationship Manager. Rob’s networking and influencing skill set impacts across a broad range of business and industry initiatives, underpinning better communication and understanding amongst key stakeholders….and delivering great outcomes. Rob recently took a lead role in developing and implementing a strategy to deliver 5 EPD’s covering the bulk of Liberty’s manufacturing range. Rob is a board member of the Bureau of Steel Manufacturers of Australia [BOSMA] and the Australasian Certification Authority for Reinforcing and Structural Steels [ACRS] and is a member of the Greenstar Material & Supply Chain ERP and the ISCA Materials Working Group. Dillon Kombumerri is the Principle Architect for the Government Architect NSW. Originally from Queensland, he grew up on North Stradbroke Island (Minjerriba) and is a Yugembir descendent from the Gold Coast. He is a strategic design thinker and social conciliator with a passion for projects that seek to improve the health, well-being and prosperity of indigenous communities. With over 25 years of experience in architectural practice he brings his own unique indigenous perspective to re-imagining the built environment. During this time Dillon has also been teaching and lecturing globally in many forums to shine a light on the hidden value of indigenous knowledge and how it can positively influence private and public agencies to deliver better outcomes for the built and natural environment. Joanna Kraatz is leading Wollondilly Shire Council’s efforts to realise rural living empowered by smart technology.As this Western Sydney local government area transforms through growth, it will create connections and opportunities by leveraging smart technology. Joanna is propelling collaboration across eight Western Sydney local governments to realise the Western Sydney City Deal digital connectivity commitments.This joint effort, with all levels of government and the community, endeavours to make integrated, data-informed place operations the accepted standard. She believes timely, accurate, and usable information produces the best decision outcomes. This belief is derived from her experience leveraging spatial information for public utilities, field software providers, asset management systems, and government agencies. Ruben Langbroek is Head of Asia Pacific for GRESB, an investor-driven organization committed to assessing the environmental, social, and governance (ESG) performance of real assets globally. He is responsible for the strategic development of GRESB in the region, by enhancing GRESB’s relationship with institutional real estate investors, property companies, fund managers and key industry stakeholders. Ruben has over 15 years of experience in (institutional) real estate investments. He holds Master degrees both in Building Engineering and in Real Estate, Investments. Susan is National President of the Property Council of Australia, a Director of the Shopping Centre Council of Australia, Deputy Chair of the Green Building Council of Australia, a member of the NSW Public Service Commission Advisory Board, President of INSEAD Australasian Council and a member of the INSEAD Global Board. Ming Long is the Independent Chair of AMP Capital Funds Management, Deputy Chair Diversity Council of Australia and is on the board of Chartered Accountants Australia and New Zealand. She was previously a non-executive Director at Property Council of Australia, including as President of the International Capital Markets Division Council. She has held a number of senior executive and leadership positions including CEO and CFO roles and is the first Asian woman to have led an ASX-100 or 200 listed entity in Australia. Ming led the establishment of the Property Male Champions of Change is a convener of the 2017 National Group, was named one of 100 Women of Influence and was a finalist in the Telstra Business Women’s Awards. Tricia is responsible for Flow Power’s NSW Operations, working with businesses to unlock the value streams available in the wholesale power market while improving their interface with their energy consumption. Key to her role is opening up access to renewable energy directly from the generators for a larger range of businesses using innovative purchasing models. Trish has over 12 years working in, government, mining, health, construction, property and manufacturing sectors. Having worked in the energy and sustainability industry both in Australia and overseas, she is passionate about finding solutions for businesses to stay ahead of the curve and take advantage of the emerging opportunities as the Australian power market shifts. Trish is a masters graduate of Macquarie University and is currently studying an MBA majoring in Sustainable Business. Donna Luckman is the CEO of Renew (formerly known as the Alternative Technology Association), a not-for-profit organisation that inspires, enables and advocates for people to live sustainably in their homes and communities. Donna has 20 years’ experience working for government, not-for-profit and research organisations. She specialises in leading teams and developing innovative strategies to enact change, from large international programs right down to local community initiatives. Donna has extensive networks in the sustainability sector, is the Chair of Embark and BZE’s Investment Reference Group and a member of the Your Home Consultative Committee. Steven Luxford is the HVAC Manager at Crown Casino Melbourne. He graduated from Swinburne University with a Bachelor of Engineering (Mechanical) (Honours) and Bachelor of Business. The past four years have seen Steven manage the deployment, integration and development of data analytics at Crown Melbourne across several different operational technologies. By utilizing the data available, Crown has been able to reduce energy usage, increase customer comfort, change maintenance strategies and better understand their assets and buildings health. Steven has also spoken at several industry events about Crown Melbourne’s journey with operational technology data analytics. Since 2006, Romilly has led the Green Building Council of Australia andbuilt a global reputation as an influential advocate and change agent. National and NSW winner of the Telstra Business Women’s Awards (2009). Romilly is going into her 6th season as President Bilgola Beach Surf Life Saving Club, where she is also a Patrol Captain. She also competes in Ocean swims, charity walks and runs. Jeremy has held the Sustainability Manager role in Lendlease for 10 years and has over 25 years' experience in the construction industry with significant knowledge and experience in sustainability as well as project and construction management roles in the design, planning, and delivery of major building and infrastructure projects. Jeremy has been a Green Star Accredited Professional since 2007 and represented Lendlease on Green Building Council of Australia's (GBCA) Qld State Industry Group GBCA, supported the development of sector rating tools and guides, and the creation of the Green Star Communities (Adaptation and Resilience credit, which includes Green Cross Australia's Community Resilience Guideline and Checklist for Developers). Jeremy is passionate about climate adaptation and natural disaster resilience, innovation and positive change. With a vast depth of experience in sustainability through design, construction and project management disciplines, he has contributed greatly to the development of Green Cross Australia. As a Green Cross Australia volunteer, Jeremy supported the online GCA programs to advance sustainable development of Australia's built environment and promote natural disaster resilience. In 2013 Jeremy also led a panel on a 7 city tour of Australia & NZ sponsored by CIBSE called 'Adapt and Survive - from hindsight to foresight. An alumni of Social Leadership Australia, Queensland Leadership Program 2011/2012, Jeremy is a well-respected sustainability professional with a vast network across government, business and civil society. Chels is a leading Indigenous ecologist with extensive experience in cultural landscape management and design. She has over 27 years of professional experience in cultural ecology & environmental planning, design and management within government agencies, research institutes, Indigenous communities, and consulting firms. Flying Fish Blue is an indigenous-owned company that specialises in socio-cultural and ecological assessment and advisory services. We design, develop and implement solutions that incoporate indigenous knowledge systems and principles into business and project planning for greater ecological, social, economic and spiritual outcomes. Our aim is to support our clients in achieving bio-cultural resilience within their communities through appreciation of icustodianship and caring for the earth. Lisa has been successfully influencing government and changing the policy framework and regulations to enable the zero carbon economy for the past 14 years. Lisa was a founding member of the Clinton Climate Initiative (CCI) working with 40 global city partners, and local and transnational businesses to facilitate large scale economic programs. In Australia, Lisa initiated and established the Australian Solar Thermal Association (AUSTELA), advised electric mobility providers, and worked with Flow Systems from its start-up as a sustainable water utility to its major role in shaping a new sustainable water and now multi-utility market. She is an initiator of Open Cities and CEO. Starting as a metallurgy trainee in 1979 with Australian Wire Industries (then part of BHP Steel, now Liberty Steel) David has over thirty-five years experience in the manufacture, sale and distribution of steel products in the Australasian market. Over his career David has developed a deep understanding of the complexities and challenges in serving customers across the geographically dispersed Australian and New Zealand markets culminating in his recent appointment to the role of Customer Experience Manager for Liberty Steel. The essence of David’s role is about combining people, data and systems to provide clear and accurate information for customers to make it easier to do business. David’s work in this area has covered several initiatives, from customer self-service platforms through to full B2B integrations. This work has included the rollout of standard product identification tags for Liberty Steel utilising GS1-128 and GS1 DataMatrix symbology standards to further unlock supply chain efficiencies and improved product traceability. In achieving these outcomes, David’s ongoing collaboration with both trading partners and industry groups has been a critical component in ensuring successful and sustainable outcomes. Robin has combined his passion for the environment, qualifications in property and finance, and understanding of construction and heritage to become one of Australia’s acknowledged experts on built environment sustainability. After nine years with the GBCA working on the Green Star rating tools, government relations and international advocacy, Robin is now the Chief Executive Officer of the Supply Chain Sustainability School and Chair of the NSW Green Globe Awards. Gabriel Metcalf commenced as CEO of the Committee of Sydney in January 2019. He is the former President and CEO of SPUR, one of the preeminent urban planning organizations in the United States. Gabriel has authored or co-authored such notable articles as “The Northern California Megaregion,” “Democracy and Planning,” “The San Francisco Exodus” and “The Great Dithering.” He is also the author of Democratic by Design(St. Martin’s Press, 2015). A co-founder of City CarShare and the San Francisco Housing Action Coalition, Gabriel has served on numerous boards and commissions. A frequent writer and speaker on planning and policy topics, he earned a Master's degree in city and regional planning from the University of California, Berkeley College of Environmental Design. Gabriel joined SPUR in 1997, later becoming Deputy Director and then assuming leadership of SPUR in 2005. He was responsible for defining the overall vision and strategy for the organization and led SPUR through a major expansion of its work, bringing on line key hires to run SPUR’s transportation, sustainability, regional planning, and housing policy. For ten years Jess has worked across a range of projects with leading sustainability and brand agency, Republic of Everyone. Since 2013, she has played a lead role in the award-winning 202020 Vision. An ambitions project to support 20% more and better urban green space. Susan Mizrahi is a senior sustainability strategist and has almost 20 years’ experience working in Asia, Europe, North America, as well as domestically, on international, business and human rights issues. She is committed to leading positive, systemic change on social and environmental issues and has achieved this through working collaboratively across and within the private, public and not-for-profit sectors. Susan has particular expertise in business human rights obligations, sustainable supply chains, forced and child labour, and the China-Tibet issue. She is skilled in strategy, communications, public policy and advocacy, and is actively committed to advancing the UN Global Compact principles and the UN Sustainable Development Goals. Susan is the Head of Corporate Responsibility at Australia Post and acts as Chair of the London Benchmarking Group. She is also a member of the UN Global Compact Human Rights Leadership Group and GCNA’s Modern Slavery Community of Practice. Michael is passionate about improving energy and transport systems so that society can grow sustainably and inclusively. He has worked in academia as a professor at numerous universities including the University of California, Columbia University in New York, and SciencesPo in Paris. His professional career includes PwC in London and Sydney, McKinsey, BP in London and he is currently the Chairman of Swedish electric vehicle company Uniti. He recently served as the Principal Advisor on Sustainable Development at the OECD in Paris. He is currently Strategic Advisor Sustainability & Innovation at Transport for New South Wales. He spent too much time as a university student earning his BA at the University of Michigan, a combined M.Sc between the London School of Economics and Imperial College, a PhD from Cambridge University and a 3 year post-doctoral fellowship at Harvard University. Despite a poor Aussie accent, Michael is Australian and lives in Sydney. Ken Morrison was appointed Chief Executive of the Property Council of Australia in July 2014. He is a director of the Green Building Council of Australia, Deputy Chair of the Business Coalition for Tax Reform, sits on the executive committee of the Australian Sustainable Built Environment Council, and is a Property Male Champion of Change promoting women in leadership roles. Sam chairs Citibank Australia, and is a non executive director of Virgin Australia, Transurban and Mirvac. She is the Chair of Carriageworks, and serves on the boards of the Sydney Swans, the Centre for Policy Development, the Foundation for Young Australians, and the GO Foundation. Sam also Chairs ANROWS, the Australian National Research Organisation for Women’s Safety. Sam has significant experience in the Australian corporate sector both in executive and non-executive capacities, in particular in the areas of human resources, strategy, corporate and government affairs, sustainability and diversity. She has held senior executive positions including Group Executive Culture and Reputation, IAG, and Global Head HR and Culture, Cable & Wireless in London. Sam was the first woman appointed to the AFL Commission in 2005, where she served for 11 years. Since 2011, Sam has been a member of the Australian faculty of the Cambridge University Business & Sustainability Leadership Program, and is on the boards of ClimateWorks Australia and the Climate Council, and sits on the advisory council of the Monash Sustainable Development Institute. She has previously served as a Director of the Sydney Theatre Company, the Australia Council for the Arts, the National Sustainability Council, and the National Mental Health Commission. She was President of ACFID from 2013-2017, and Deputy Chair of the Diversity Council of Australia from 2012-2018. Karen Mundine is from the Bundjalung Nation of northern NSW. As the CEO at Reconciliation Australia, Karen brings to the role more than 20 years’ experience leading community engagement, public advocacy, communications and social marketing campaigns. Over the course of her career she has been instrumental in some of Australia’s watershed national events including the Apology to the Stolen Generations, Centenary of Federation commemorations, Corroboree 2000 and the 1997 Australian Reconciliation Convention. Ms Mundine holds a Bachelor of Arts in Communication from the University of Technology Sydney and is a Director of the Gondwana Children’s Choir Board. Previous roles include Mary Mackillop Board Director, Deputy Chief Executive and General Manager Communication and Engagement, Reconciliation Australia; Senior Consultant, CPR Communications; senior public affairs and communications roles with federal government departments including Prime Minister and Cabinet and Foreign Affairs and Trade. Francesca is the National Policy Manager for Sustainability and Regulatory Affairs at the Property Council of Australia. She works with representatives from Australia’s leading property companies, such as members of the Property Council’s National Roundtable on sustainability, to develop policy and advocate to federal, state and local governments. Francesca has over 10 years’ experience in the built environment sector with previous roles as an engineering consultant at AECOM, the Green Building Council of Australia and the NSW Office of Environment and Heritage. Barbara’s passion is to enable organisations to succeed sustainably. As CEO of Thinkstep Australasia, a locally owned business, she often describes her job as a translator. Translating sustainability into traditional business language. Together with her team she delivers a full range of sustainability services from strategy and materiality assessments through to detailed Life Cycle Assessments and Cradle to Cradle® projects. As the convenor for the carbon m rror committee for ISO standards for New Zealand she contributed significantly to the development of international standard for carbon footprinting, ISO 14067:2018. In her role as President of the Life Cycle Association New Zealand (LCANZ), Barbara initiated the Australasian EPD Programme. She serves on several Technical Advisory Groups, including the Australasian EPD Programme and the International EPD System. Barbara is a LCA Certified Practitioner and the regional editor for the International Journal of LCA. Associate Professor Tim Nelson leads the AEMC’s Economic Analysis division. Associate Professor Nelsonjoined the AEMC from his previous position as Chief Economist at AGL, one of Australia’s largest energy businesses, where he managed the company’s public policy advocacy as well as sustainability and strategy. He is a member of Westpac’s Stakeholder Advisory Council and the Grattan Institute’s Energy Reference Group. He previously held a number of roles with the NSW Government and the Reserve Bank of Australia. Associate Professor Nelson is an associate professor at Griffith University. He holds a PhD in Economics from the University of New England for which he earned a Chancellor's doctoral research medal. Paul leads ANZ’s team working across Project, Export & Sustainable Finance.These teams provide a range of debt origination, structuring and execution capabilities to ANZ customers primarily in the infrastructure, energy and resources sectors. The focus on sustainable finance was initiated in 2014 with ANZ being a long term leader in renewable energy and now a leader in the rapidly emerging green finance market. Prior to joining ANZ in September 2010, Paul was Head of Institutional Banking, Australia & Asia, nabCapital (National Australia Bank), responsible for all institutional customer relationship management teams in Australia and Asia. Paul’s time at NAB followed 12 years at Deutsche Bank, culminating in the position of Head of Project & Leveraged Finance Australia. During his many years in banking, Paul has led advisory and debt financing teams on project, acquisition and leveraged financings across a wide range of industries including natural resources, infrastructure, power and utilities and industrial processing in Australia and Asia. Outside ANZ, Paul was Chair of the Board of a leading independent school in Melbourne from 2010 to 2016. Sharanjit is Head of ESG Risk at QBE Insurance Group, where his responsibilities include TCFD reporting. He was previously an actuarial consultant to general insurers and banks in the UK and Australia, specialising in natural disasters and climate risk management and disclosure. David is Sustainability Manager for Mirvac’s Office & Industrial and Retail portfolios. He leads an in-house team of Engineers and Data Management Specialists focused on the Environmental performance of the portfolio including Energy, Water and Waste Management and delivering on Mirvac’s This Changes Everything sustainability strategy. David is a Chartered Engineer with 15 years of extensive experience in the Sustainability field including prior roles with Lend Lease on the Barangaroo project, JLL working on the GPT & APPF Office portfolios and leading the Technical Services division of Energetics. Ben Peacock is Founder of the Republic of Everyone, an award-winning and world-leading brand, sustainability, and innovation company. He is chief architect of the multi award winning 202020 Vision, and co-founder of Australia’s biggest community day, the Garage Sale Trail. His book, ‘Lessons from My Left Testicle’, is about beating cancer and learning to live. He is a spokesperson for the Cancer Council and a director of the Future Business Council. Caroline Pidcock was born in Grafton and raised in Sydney, and has been shaped by their mighty water systems. She is passionate about architecture, biophilic design and systems thinking, and how she can co-create an abundant living future. Her authentic interest and experience in regenerative approaches has been developed and enhanced through her involvement in a diverse range of professional, academic and community commitments. Kim is the Senior Project Manager & Sustainability Lead at DHL and has over 12 years’ experience as a project manager involved with construction/Build-to-suit projects of industrial properties. As the Sustainability Lead, she is passionate about reducing our Carbon footprint in existing industrial sites through retrofit projects and working on ensuring new industrial properties are as efficient as possible. Previous positions have been based in North America and Asia as well as Australia. Scientia Professor Deo Prasad is an international authority on sustainable buildings and cities and among the leading advocates for sustainable buildings and cities in Australia. Deo won the 2006 Royal Australian Institute of Architect’s National Education Award for contribution to ‘sustainability education, research and design’. In 2004 he won the NSW State Government’s individual GreenGlobe Award for ‘showing leadership and commitment to the supply of renewable energy’. He has also won the Federal Government’s national award for ‘outstanding contribution to energy related research’. He also is one of the Sydney Ambassadors (Business Events NSW) with special focus on promoting Sydney as a destination for high end environmental-scientific events. In 2014 Deo has been awarded the Order of Australia by the Governor General of Australia for services to sustainability and renewable energy through his research and for extensive international community work. Deo has been the Chief Investigator and CEO of CRC for Low Carbon Living. This was the largest ever industry-government-professions-research collaboration (45 participants at commencement and well in excess of that towards completion) in Australia in built environment sector and has led to transformative impacts in this sector. Bruce is Principal Consultant with Six Capitals Consulting focused on accelerating the transformation to zero emission buildings: efficient buildings powered by renewable energy. Bruce is a past member of the Property Council of Australia Sustainability Roundtable, and the founding chair of the City of Sydney - Better Building Partnership, a collaboration that aims amongst other things to see emissions from the city reduced by 70% by 2030. Elizabeth Proust has held leadership roles in the private and public sectors in Australia for over 30 years.She has worked in local, State and Federal Government, the oil industry and in banking.She has held senior positions in the ANZ Banking Group, the Victorian Government and was CEO of the City Of Melbourne. Elizabeth is Chairman of Nestle (Australia), and Chairman of Bank of Melbourne, and a director of Lend Lease Corporation. She is the immediate Past Chairman of the Australian Institute of Company Directors. Elizabeth has a Law degree (University of Melbourne) and a Bachelor of Arts (Honours) from La Trobe University. Samuel is an innovator and trusted advisor in the techno-commercial sphere where his unique skills and experience are applied to unearth uncommon connections, insights and opportunities. From ideation to commercialization, Samuel is a champion and pioneer of new technologies focused on value creation, social benefit and resource efficiency. Samuel is currently the Chief Innovation Officer at Vivid Technology, a multi-award winning, innovative Australian clean technology company delivering world leading IoT and Industry 4.0 technologies. Fiona Reynolds is the CEO of the Principles for Responsible Investment (PRI) and has responsibility for its global operations. The PRI is a U.N. supported organisation, with more than 2,000 signatories who collectively represent over US $80 trillion in Assets Under Management. The PRI is the major global organisation for responsible investment practices and leadership and the integration of environmental, social and governance issues across the investment chain. The PRI’s mission is to create a sustainable global financial system and the organisation aims to bring responsible investors together to work towards creating sustainable financial markets that contribute to a more prosperous world for all. Fiona joined the PRI from Australian Institute of Superannuation Trustees (AIST), where she spent 7 years as the CEO, working within the Australian superannuation sector and played an active role in advocating pension fund policy and participated in a number of government committees and working groups on superannuation and retirement incomes policy. Fiona also serves on the Board of the U.N. Global Compact, she is the Chair of the Financial Services Commission into Modern Slavery and Human Trafficking (The Liechtenstein initiative), which has been developed by the United Nations University Centre for Policy Research (UNU-CPR) and supported by the Government of Liechtenstein and. Fiona is also a member of the International Integrated Reporting Council (IIRC), the Global Advisory Council on Stranded Assets at Oxford University, the UN Business for Peace Steering Committee, the Global Steering Committee for the investor agenda on climate action and the Steering Committee for Climate Action 100+ which is the largest ever investor engagement with listed companies. Fiona has been a member of the UK Government Green Finance Taskforce. In 2018 Fiona was named by Barron’s magazine of one of the 20 most influential people in sustainability globally and by the Australian Financial Review of one of Australia’s one hundred women of influence for her work in responsible investment globally. Fiona has formerly been a pension fund director/trustee of AUSfund and been on the boards of Industry Funds Credit Control, Australia for UNHCR, the Australian Council of Superannuation Investors and the National Women in Super Network. In September 2012, she was named by the Australian Financial Review as one of Australia’s top 100 women of influence for her work in public policy. Jeff is Aurecon’s Global Sustainable Buildings Leader. Jeff has worked as a consulting engineer for over 32 years working in London, Ireland and for the last 21 years in Melbourne and overseas. He has been involved in the design of a wide variety of leading edge sustainable building types including offices, residential, industrial, academic and institutional buildings and has worked on projects in Australia, New Zealand, South Africa, the Middle East, Europe and America. He is a passionate advocate for the design of sustainable and healthy buildings, and communities. He is a Technical Specialist on the Office of the Victorian Governments Design Review Panel, a Member of the South Australian Design Review panel, an Alternate Member of the Heritage Council of Victoria and the Chair of the Property Council of Australia’s Victorian Sustainable Development Committee. Davina Rooney is General Manager, Sustainability and Corporate Procurement at Stockland. Her role is to develop strategy and ensure sustainable practices and policies are adopted across Stockland, and implement corporate purchasing strategies. Davina is an engineer and has extensive experience in sustainability and building consulting. Davina has a variety of sustainability experience, from environmental projects, not-for profit boards and overseas community development work, spending 8 months working in the Indian Himalayas on the construction of a school which won multiple international awards. Davina has been recognised by industry awards including NAWIC NSW Sustainability 2016, PCA 2014 Future Leaders Award and Sydney University Engineering Young Alumni Award. She is currently Chair of the Property Council’s National Sustainability Roundtable and on the Green Star Steering Committee. Akaash has close to 10 years experience in the delivery of responsible investment. He joined HESTA in February 2018 as Senior Responsible Investment Advisor to support the implementation of HESTA’s leading Responsible Investment strategy, including climate change strategy and active ownership programs. Prior to HESTA, Akaash was an Environmental, Social and Governance analyst for Regnan, a global leader in long term value, systemic risk analysis and responsible investment advisory. Akaash has also worked with the Monash Sustainability Institute. Akaash holds a Masters of Corporate Sustainability from Monash University and Bachelors of Commerce and Arts from Latrobe University. Australian Research Council (ARC) Laureate Professor Veena Sahajwalla is revolutionising recycling science to unlock the wealth of resources embedded in the many complex wastes currently destined for landfill. As a materials scientist and engineer and founding Director of the Centre for Sustainable Materials Research and Technology (SMaRT) at the University of New South Wales, Sydney and the ARC Industrial Transformation Research Hub for green manufacturing, she is producing a new generation of green materials and products made entirely, or primarily, from waste. Her internationally commercialised EAF ‘green’ steelmaking process, for example, is transforming millions of waste tyres as a partial replacement for coke. She has also pioneered a cost-effective microfactory technology to transform waste, such as e-waste, glass and plastics. By collaborating actively with industry, Professor Sahajwalla ensures research success is translated into real world environmental and economic benefits. Prof Veena Sahajwalla became one of Australia’s best-known scientists and inventors through her regular appearances as a judge on the long-running ABC TV series ‘The New Inventors’and recent guest on the ‘War on Waste’. She continues her community engagement through regular public talks, her mentoring program for girls in science (Science 50:50) and regular media commentary. In 2018 Professor Sahajwalla was elected as Fellow of the Australian Academy of Science. In 2017, she received the 2017 PLuS Alliance Prize for Research Innovation and the prestigious Jubilee Professorship by the Indian Academy of Sciences. In 2016, she was named one of Australia’s most innovative engineers. In 2015 she was listed as one of Australia’s Top 100 Most Influential Engineers and selected as an Honorary Fellow by Engineers Australia. In 2014, Professor Sahajwalla was awarded an ARC Australian Laureate Fellowship. In 2013, Veena received the ‘Howe Memorial Lecture Award’, Pittsburgh, USA. In 2012, she won the Australian Innovation Challenge (Overall Winner) for her innovation for her “ Green Steel”. Vicinity Centres (Vicinity) is one of Australia’s leading retail property owners and operators with a portfolio of more than 60 shopping centres and $27.7 billion in assets under management. Rene Sambrooks, in her role as General Manager Energy and Commercial, is responsible for the development and delivery of Vicinity’s ‘Integrated Energy Strategy’ and business innovation models. She leads a national team in developing and embedding innovation solutions across the portfolio. This already includes the largest Australian renewable energy investment ($73m) in shopping centres for solar, batteries, block chain and energy management systems. Vicinity’s ‘Integrated Energy Strategy’ has recently been recently recognised as an industry-leading innovation with a nomination in this year’s Property Council of Australia Awards (winner announced May 2019). Renae is a commercially focussed leader with an outstanding record in developing programs that lead to positive outcomes. Past highlights include development of Melbourne’s green roof initiative ‘Growing Up’ that won a Melbourne Design Award for Architecture and the multi-award winning 720 Bourke St building and office fit-out for Medibank. Renae also specialises in start-up incubation, procurement and stakeholder management. Stephen Scheeler is the former Facebook CEO for Australia and New Zealand, where he guided Facebook’s unprecedented rise from quirky Silicon Valley start up to media and technology titan. Working with Mark Zuckerberg, Sheryl Sandberg and Facebook’s Silicon Valley leaders, his tenure at Facebook saw the Australia and New Zealand business – including Instagram, Messenger, Whatsapp and Oculus – grow to become one of the most successful Facebook markets in the world. Today – as founder of global advisory The Digital CEO – he partners with some of the region’s leading companies to help them build world-beating strategies, capabilities, culture and leadership, including Qantas, nab, Westpac, Macquarie Bank, ANZ Bank, Wesfarmers, Seven West Media, Google, the Australian Commonwealth Government, and a host of others. As a speaker, Stephen is an inspiring personality on the highest-profile stages – including TEDx, the Australian Governance Summit and AMP Amplify – and is a member of the Australian Prime Minister’s Knowledge Nation 100, top innovation leaders in Australia. Melissa heads up the Sustainability function at Vicinity Centres (Vicinity) and has almost 20years of experience working in senior corporate sustainability roles across the oil and gas, major infrastructure, banking and property sectors. In her role of General Manager Sustainability at Vicinity, Melissa has established a new corporate sustainability strategy for the company, integrated into Vicinity’s business strategy and focused on creating shared value. Melissa holds a Master of Corporate Sustainability Management from Monash University and a Bachelor of Science degree from the University of Melbourne. As CEO of Infrastructure Sustainability Council of Australia, Ainsley fosters partnerships to advance sustainability; enabling industry to deliver and operate infrastructure for all communities. Ainsley has worked at an executive level at ASX listed organisations, with operational roles in the public sector. Her journey with ISCA has included the deployment and continuous development of IS Rating Scheme, as well as actively investing in building capacity in the ANZ infrastructure industry. Prior to migrating to Australia, she actively participated in civil infrastructure and multi-scale housing projects in Southern Africa. With a keen interest in developing capability and accelerating approvals processes, she specialised in the development of government decision-support tools for sustainable planning and management. Ainsley is a strong advocate of the UN Sustainable Development Goals and believes that a functioning and resilient infrastructure is a core foundation of every successful community. Anna brings considerable private and public sector knowledge to the role as an experienced investment banker, policy advisor and qualified lawyer. Prior to ClimateWorks, Anna was based in London where she applied her skills as an advisor dedicated to raising and deploying capital for low carbon activities as Vice President, Advisory, at Climate Change Capital. She has also worked as a Senior Policy Advisor to the Victorian Deputy Premier, an investment banker for Macquarie Bank and as a solicitor with Malleson Stephen Jacques. Anna was an inaugural Director of Australia's green investment bank, the Clean Energy Finance Corporation, and is a Director of Green Buildings Council Australia, a Trustee of the Sustainable Melbourne Fund, a member of the Wentworth Group of Concerned Scientists, a member of the Grattan Institute’s Energy Program Reference Panel and a member of the Leadership Forum for Energy Transition for Australia. She has also served on the South Australian Government’s Low Carbon Economy Expert Panel, the Victorian Climate Change Act Independent Review Committee, the Australian Government’s Energy White Paper Reference Panel and the former Australian Government Land Sector Carbon and Biodiversity Board, as well as with the NGO Roundtable on Climate Change. Anna holds First Class Honours Degrees in Commerce and Law from Monash University. She is a graduate member of the Australian Institute of Company Directors and has completed leadership studies at the Oxford University Said Business School and the Melbourne Business School. Anna was a double Finalist in the 2014 Victorian Telstra Business Women’s Awards in the Business Innovation and Community & Government categories. Gayle has a law and arts degree from the University of Adelaide. She worked for the NSW Attorney General’s Department for a number of years before moving into the Attorney General’s Ministerial Office in 1998, and then the NSW Police Minister’s Office in 2000. Following this time in state government, Gayle worked as a Director in a number of NSW councils, primarily looking after service delivery, procurement, capital works and assets. She developed and delivered a number of waste and recycling contracts on behalf of councils, as well as managed environment and regulatory departments, including rangers and compliance officers. After three years of being a stay-at-home mum, Gayle returned to work in 2012 at Visy Recycling. In November 2016, Gayle joined WMRR as Chief Executive Officer. Merrick Spain is an emerging technologies expert, currently leading strategy and market engagement in Australia for Telstra in the Smart Cities and Communities space. Merrick leverages diverse experience and deep insight in building corporate insight into the evolving market, and helps governments and their citizens understand the possibilities presented by the convergence of the informational and physical worlds for the way cities and communities function and the changing ways people aspire to live in them. Merrick has over 24 years’ experience in a variety of roles including senior management and consultancy, and a wide range of technology-oriented markets, enabling the diverse skills required to build a practise for this market with deep domain insight and capability. Merrick has led the strategy and engagement for a number of organisations in emerging technology markets throughout his career, including Wireless and Mobility, RFID, Robotics, and various vertical-industry software technologies. Merrick’s knowledge and experience across multiple industry segments provides the foundation for building a practise that is focussed on the macroeconomic outcomes for cities and their numerous stakeholders. Iain Stewart is a business analyst at ClimateWorks Australia, working in the Whole of Economy team. In this role he conducts energy and emissions modelling, particularly in the buildings and industry sectors, evaluating sector specific opportunities for decarbonisation. For the Decarbonisation Futures project, Iain lead the modelling, working closely with CSIRO to produce scenarios analysis which analyse possible futures for Australia in a world approaching net zero. Previously to ClimateWorks, Iain worked as an Energy Engineer in the buildings sector, performing energy audits and Energy Performance Contracts for a range of clients. Margaret heads Corporate and External Relations at Nestlé Oceania, where she is responsible for communications and public affairs across the region. In this role, Margaret manages issues shaping Nestlé’s operating environment in areas as diverse as nutrition, human rights, environmental sustainability, water and rural development, working across a broad portfolio of iconic food and beverage brands. She has a broad corporate affairs background, particularly in the healthcare, food and agribusiness sectors, including senior leadership roles in Novartis, Syngenta and Schering-Plough. In 2017 Margaret was a member of the Multi-Stakeholder Advisory Group on the Implementation of the UN Guiding Principles on Business and Human Rights. Bianca Sylvester is an Associate Director in the Government and Stakeholder Relations team at the Clean Energy Finance Corporation, leading the CEFC’s relationship with the New South Wales, Victorian and Tasmanian State Governments, as well as international stakeholders. Bianca has 10 years’ experience in clean energy and climate change, across 20 countries. Prior to joining the CEFC, she spent six years as a climate change/energy specialist at the World Bank based in Washington DC, and three years as a trader in J.P. Morgan’s commodities sales and trading team based in Singapore and Sydney. Most recently, she was General Manager for the Carbon Market Institute in Melbourne. Bianca holds a Masters of Government from the Johns Hopkins University in Washington DC. Dr Mark Tatam is the Building Technology Director for Kingspan Insulated Panels, covering Australasia and South East Asia. Kingspan is a global group of companies, of which Insulated Panels is the primary Australian business, manufacturing building materials out of St Marys in New South Wales. Kingspan has developed Science Based Targets for Scope 1,2 and 3 emissions and is currently exploring the implementation at both the global and local levels. Mr. Taylor is a Licensed Professional Engineer at the California Energy Commission. He is currently the staff lead for demand optimization and healthcare efficiency in the Building Standards Development Office. Mr. Taylor is also the Energy Commission representative to the Governor’s Sustainability Working Group, a role he has held for nearly a decade. Prior to this assignment, he served as an Advisor to Energy Commissioner David D. Hochschild, focused on renewable energy integration, energy efficiency, and state property sustainability. He also previously served as an Advisor to Energy Commissioner Jeffrey D. Byron between 2006 and 2008. Mr. Taylor has been with the Energy Commission since 1999, working on a variety of energy policy areas including demand side management, lighting efficiency, industrial efficiency, appliance standards development, and power plant air quality impact analysis. John Thwaites is a Professorial Fellow, Monash University, and Chair of the Monash Sustainable Development Institute and ClimateWorks Australia. John is also Chair of Melbourne Water and the Peter Cullen Water and Environment Trust. He has been Chair of the Australian Building Codes Board, President of the Australian Centre for the Moving Image (ACMI) and a director of the Australian Green Building Council. John is the Chair of the National Sustainable Development Council, which has developed the Transforming Australia: SDGs Progress Report 2018. He was previously Chair of the National Sustainability Council an independent Council appointed by the Australian Government, which produced the Sustainable Australia Report in 2013. John Thwaites was Deputy Premier of Victoria from 1999 until his retirement in 2007. During this period he held various Ministerial portfolios including Health, Planning, Environment, Water and was Victoria’s first Minister for Climate Change. With a career spanning over 20 years in urban development, Jason has been at the forefront of built environment transformation. His career experience includes delivery of sustainable mixedincome housing projects throughout New York City, delivery of Vulcan Inc.'s South Lake Union Innovation District in Seattle, Washington and serving as Head of Sustainability and Innovation for Lendlease Property, Australia. Jason is founder and Director of Urban Apostles, a start-up real estate development and consulting services business specialising in regenerative development and deliberative housing models for cities. Its work focuses on the intersection of the sharing economy and art of city making. In 2016, Jason was appointed as an Innovation Fellow and Senior Lecturer within the Faculty of Design, Architecture and Building at the University of Technology Sydney and leads research into regenerative urbanism, housing affordability, and property economics. He is a co-founder of both the International Living Future Institute and Green Sports Alliance and originator of the Economics of Change project. In 2017, Jason founded and launched the City Makers’ Guild, an education, advocacy and research group promoting more equitable and inclusive cities. Jason was designated a LEED Fellow by the United States Green Building Council in 2014, was named a 2015 and 2017 Next City Global Urban Vanguard and is an appointed Champion and advisor to Nightingale Housing in Australia. Olivia is the Director, Sustainable Business Services within the Westpac Group, recently joining the financial services sector after a career in manufacturing and retail. •Leading the Supplier Inclusion & Diversity program, which seeks to utilise Westpac's supply chain to increase the economic participation of groups currently underrepresented in the economy particularly indigenous businesses, social enterprises, businesses owned by women and B-Corps. Prior to joining Westpac, Olivia was the Head of Sustainability & Responsibility for Woolworths Supermarkets, and has held senior corporate responsibility and sustainability positions across several consumer product companies including Treasury Wine Estates, Foster’s Group, Coca-Cola Amatil and Goodman Fielder. She is a TED speaker, holds Bachelors of Science (USyd) and Environmental Engineering (UNSW), and completed her MBA at Melbourne Business School in 2014. Kristin Vaughan is Director of the Clean Energy Innovation Fund at the Clean Energy Finance Corporation. Kristin is responsible for originating and managing investments in early stage clean energy companies. Prior to joining the CEFC, Kristin was an Investment Director at leading private equity firm CHAMP Ventures, where she managed investments across a range of industries including education, manufacturing, logistics, services and retail. Kristin began her career managing a production line at Arnott’s Biscuits and also worked as a management consultant at AT Kearney before moving into private equity. Kristin has a chemical engineering degree from the University of Sydney. Guy works as a Senior Principal Consultant with The Biodiversity Consultancy in biodiversity related aspects of environmental impact assessment and corporate sustainability. Guy’s projects have taken him throughout Australia and Asia-Pacific, including Myanmar, Vietnam, China, Cambodia, Lao, Thailand, Philippines, and Papua New Guinea. He has led and been involved in reviewing projects and program against IFC Performance Standards, the Equator Principles, and various climate change and product stewardship standards. His sector experience includes infrastructure (transport, power, and property), mining, oil and gas, and agro-forestry (oil palm, coffee, timber). In addition to TBC projects, Guy maintains an ongoing research interest in community lead forest conservation, and the use of film, storytelling and digital media to support effective conservation strategies. Dr Woods has managed AMP Capital’s Environmental, Social and Governance (ESG) Investment Research since October 2011 and was previously the Senior Research Analyst for the AMP Capital Investors Sustainable Alpha Fund. Ian has been instrumental in the establishment and continual development of AMP Capital’s approach to the integration of ESG issues into the investment processes of AMP Capital’s Australian and international equity and fixed interest funds.He also oversees the corporate governance and proxy voting of AMP Capital and its engagement with companies on ESG issues.In this role, Ian assesses the management of intangible assets and sustainable drivers of companies on the Australian Stock Exchange and engaging with these companies in these areas. In addition, Ian undertakes the assessment of greenhouse gas risk issues for the wider AMP Capital Investment teams and has undertaken a number of studies in this area. Why get involved in the GBCA's CPD program? Recognition: Receive recognition for being a sustainability specialist with knowledge of green building principles and the Green Star rating system. Support: Gain access to a dedicated support network designed to help you advance your sustainability career. Training: Attend ongoing sustainability training programs specifically designed for both Green Star Associates and GSAPs. Download our event app and gain access to your personal itinerary, activity stream, live updates, polls, and more. Roundhouse is located in the North-West corner of UNSW Kensington Campus. Download the parking map for directions on where to park. Roundhouse from Coogee, the Inner West, Botany and Circular Quay. 891 - Express service to and from UNSW from Central station. We Certify - We rate the sustainability of buildings and communities through Australia’s only national, voluntary, holistic rating system – Green Star. We Educate - We educate industry and government practitioners and decision-makers, and promote green building programs, technologies, design practices and operations. We Advocate - We advocate policies and programs that support our vision and purpose. Registrations are for individual delegates only and cannot be split or shared between multiple people. The Green Building Council of Australia reserves the right to alter speaker/s or program of events or cancel the event in its entirety. The Green Building Council of Australia reserves the right to refuse entry to or remove from the premises any person who it considers (in their sole and absolute discretion) is causing annoyance. Your registration is accepted on the basis of these conditions. While the material contained on this website is based on information which the Green Building Council of Australia (including its directors, officers, employees and agents) understands to be reliable, its accuracy and completeness cannot be guaranteed. This website is general and does not take into account the particular circumstances or needs of any person who may view it. You should obtain independent advice from suitably qualified consultants and professionals before making any decisions in relation to the contents of this website. The Green Building Council of Australia is not liable and accepts no responsibility for any claim, loss or damage of whatever nature suffered by any person or corporation who relies or seeks to rely on any information, advice or opinion contained on this website, or otherwise given by the owners. The collection of individual registration details is primarily so that we can register you and your colleagues for the event. The information will be stored in the Green Building Council of Australia's databases and may be used for future marketing of the Green Building Council of Australia’s events and may also be provided to the event sponsors. If you do not wish your details to be made available to external parties, we ask that you notify us by a written request to the Green Building Council of Australia Database Manager. This website is copyright. Except where acknowledged otherwise, the Green Building Council of Australia is the copyright owner. Except as permitted under the Copyright Act 1968 (Cth), no part of this website may be reproduced, stored in a retrieval system or transmitted in any form or by any means, electronic or otherwise, without the permission of the copyright owners. Landcom is the NSW Government’s land and property development organisation. We are a State Owned Corporation working with government and the private and not-for-profit sectors to deliver exemplary housing projects that provide social and economic benefits to the people of NSW. BlueScope is a global leader in premium branded coated and painted steel products - the third largest manufacturer of painted and coated steel products globally.We have great strengths in engineered steel buildings in key markets, and are number one in building and construction markets. Our steel products and services are continuously evolving and improving to ensure we contribute all we can to the opportunities and challenges created by society’s move towards a lower carbon economy. Holcim has been delivering construction materials in Australia since 1901, originally serving the industry under the well-known Readymix and Humes brands. Today Holcim continues to supply essential construction materials including aggregates, sand, readymix concrete, engineered precast concrete and prestressed concrete solutions to a range of customers and projects throughout Australia. As part of the leading global building materials and solutions company LafargeHolcim, Holcim Australia can be counted on for state-of-the-art product development, reliable service and advanced technical expertise for your next project. Globally, we are seeing the Paris Agreement’s call to minimise the impact of climate change and the European Union’s transition to a circular economy drive the agenda for improved environmental performance in construction materials. We are responding to this challenge through our 2030 Sustainability Plan and various initiatives including ViroDecsTM, our Environmental Product Declaration (EPD) for Holcim ready-mixed concrete sold into the Australian market. When published in 2019, ViroDecsTM will be the first EPD for ready-mix concrete in Australia. Kingspan Insulated Panels is the global leader in the design, development and delivery of advanced building envelopes. Its wide range of products include Insulated Roof & Wall Panels; Fabrications; Height Safety, Controlled Environments, Cleanrooms, BENCHMARK high end Façade Systems and Architectural Roofing systems. Kingspan Insulated Panels is widely recognised in the industry for the high quality and performance of its products as well as its commitment to excellent customer service and technical support. The GFG Alliance’s LIBERTY is Australia’s only manufacturer of steel long products, the largest distributor of steel and reinforcing products, and operates a leading metals recycling business. LIBERTY’S businesses include LIBERTY Steel, LIBERTY Reinforcing, LIBERTY Metalcentre, LIBERTY Primary Steel, LIBERTY Recycling. 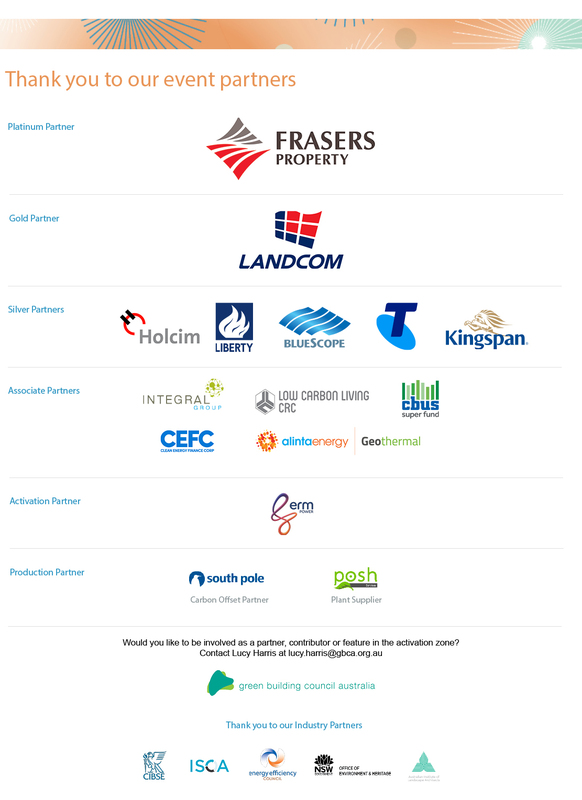 Together LIBERTY businesses service customers throughout Australia’s infrastructure, commercial and residential construction, manufacturing, mining rail and agriculture sectors. Our commitment to the environment includes optimising the eco-efficiency of our products through the product life-cycle. This means increasing resource and energy efficiencies and the use of sustainably generated energy from GFG Alliance’s SIMEC Energy Australia in the production and distribution of our products, and during the use of steel products. We are committed to the role played by steel in the circular economy, including the promotion of the recovery, reuse and recycling of steel and other products. We believe the more connected people are, the more opportunities they have. That's why we help create a brilliant connected future for everyone, every day. That’s why we build technology and content solutions that are simple and easy to use, including Australia’s largest and fastest national mobile network. As part of Alinta Energy, the rapidly growing Australian energy retailer and generator, Alinta Energy Geothermal provides high quality geothermal solutions. With an experienced and qualified workforce and modern fleet of drill rigs, we have the resources and capability to deliver a broad range of projects. Our experienced team has many years of experience working with leading Australian companies on various project types. These geothermal projects have ranged from large scale aged care facilities to precinct wide residential estates and upscale restaurants to schools and retail facilities. We are currently undertaking one of the largest residential geothermal HVAC projects in the southern hemisphere in Blacktown, Sydney for Frasers Property Australia. We are focused on investing members’ super for the long-term to provide the best possible retirement outcomes.We care about our members’ financial wellbeing and that of future generations. he CEFC is responsible for investing $10 billion in clean energy projects on behalf of the Australian Government. Our goal is to help lower Australia's carbon emissions by investing in renewable energy, energy efficiency and low emissions technologies. We also support innovative start-up companies through the Clean Energy Innovation Fund. Across our portfolio, we deliver a positive return for taxpayers. Integral Group is an interactive global network of design professionals collaborating under a single deep green engineering umbrella. We provide a full range of building system design and energy analysis services, with staff widely regarded as innovative leaders in their fields. The CRC for Low Carbon Living (CRCLCL) is a national research and innovation hub that seeks to enable a globally competitive low carbon built environment sector. Supported by the Cooperative Research Centres (CRC) programme we focus on collaborative innovation by bringing together property, planning, engineering and policy organisations with leading Australian researchers. CRCLCL develops new social, technological and policy tools for facilitating the development of low carbon products and services to reduce greenhouse gas emissions in the built environment. Ultimately the CRCLCL will help unlock barriers to cost-effective carbon reduction opportunities, empower communities and facilitate the widespread adoption of integrated renewable energy. ERM is an energy business for business. We make it simple for organisations to take charge of their energy and make smarter choices. We have been powering Australia for more than 30 years and are the largest dedicated supplier of energy to business. Renowned for our breadth of knowledge, thought leadership, innovation and expertise, we are the business energy experts. Posh is a family owned Australian Company providing a vast range of quality horticulture services to all industries. Our objective is to provide superior customer service at competitive rates. The Company has been registered for 46 years, proving stability and continued success and have been a major contributor to the service industry for the past twenty years. We have been a member of the Nurseryman’s Association for 22 years and are also a member of the National Interior Plantscape Association. South Pole is a leading provider of global sustainability financing solutions and services, with over 250 experts in 18 global offices. For more than a decade, South Pole has worked with a wide range of public, private and civil sector organisations to accelerate the transition to a climate-smart society. South Pole has mobilised climate-finance for over 700 projects in emission reduction, renewable energy, energy efficiency and sustainable land-use, and has been recognised for its diligent project development and impact quantification approach with numerous industry awards. The company’s expertise covers project and technology finance, data and advisory on sustainability risks and opportunities, as well as the development of environmental commodities such as carbon and renewable energy credits. Is embodied carbon the new hotspot when designing buildings for a low carbon economy? As the use of our buildings becomes more energy and carbon efficient, the role of materials increases. Future rating systems will therefore require a reduction of embodied carbon. In this interactive workshop we will use a mix of case studies and hands on activities to get a better understanding of embodied carbon. How to identify reliable emission factors? How to interpret embodied carbon information? What is the relationship between EPDs, LCA and embodied carbon?